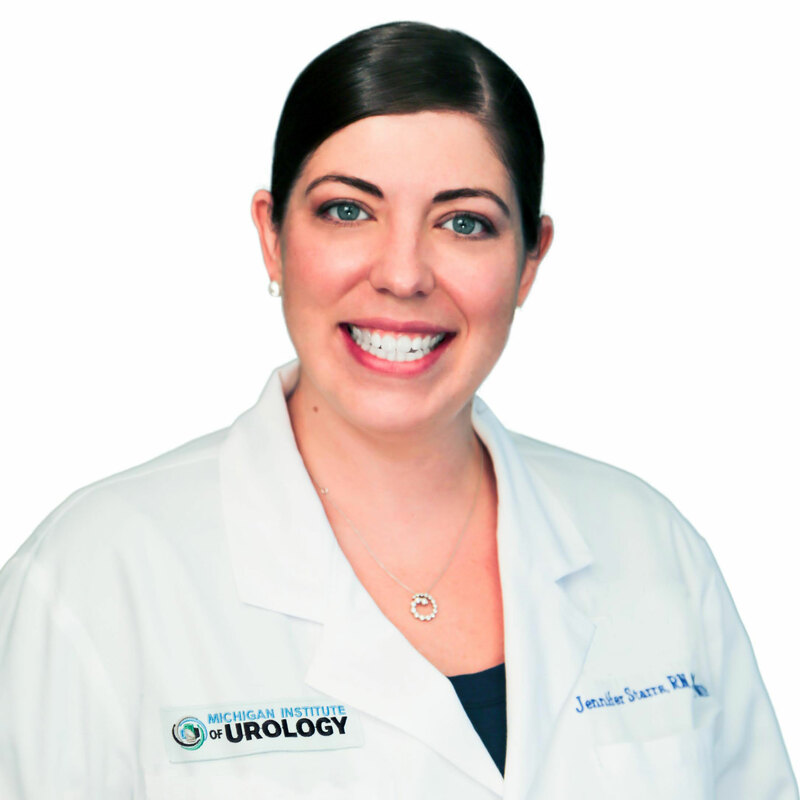 Jennifer J. Starrs, RN, MSN, CPNP is an associate of Michigan Institute of Urology, P.C. She has been a pediatric nurse practitioner since 2008. Her special interests include daytime wetting, dysfunctional voiding, urinary tract infections, and bedwetting in children. She has an additional focus in pediatric kidney stones. Jennifer works closely with our attending physicians on all pediatric patient care issues. Jennifer received her Bachelor of Science in Nursing degree from the University of Michigan in 1999. She completed her Master of Science in Nursing degree from the University of Illinois at Chicago in 2008.